At the Fakuma trade fair in Friedrichshafen, Germany, 16th to 20th October 2018, ENGEL will demonstrate a further reduction in cycle times for the production of caps. An all-electric ENGEL e-cap 2440/380 will be used to produce 26 mm caps, including tamper-proof bands made of HDPE, at a cycle time of under 2 seconds under realistic manufacturing conditions. Optimised movement profiles allow for an increased output: The ENGEL e-cap 380 with 3,800 kN of clamping force can provide a dry cycle time of just 1.4 seconds. The ENGEL e-cap is the only cap machine on the market providing all-electric operation with a clamping force range as high as 4,200 kN. At the same time, it is the most energy-efficient machine in its class. Despite its substantial output, the e-cap due to be showcased at Fakuma only needs around 0.4 kWh of electricity to process a kilogram of plastic granulate. A 72-cavity mould from z-moulds (Dornbirn, Austria) will be used at the trade fair. As far as peripheral units, the exhibit will include a dry air system from Blue Air Systems (Kundl, Austria) and a camera inspection system from IMDvista (Brügg, Switzerland). As a system solutions provider, ENGEL delivers fully-integrated and automated manufacturing cells around the world from a single source. Efficiency potential is maximised and overall energy consumption kept to a minimum where the injection moulding machine, mould and peripheral systems are properly coordinated from the start of the project. Alongside energy efficiency, the all-electric e-cap machine's features include extreme precision. This ensures the greatest possible number of good parts, even in the production of demanding lightweight caps. Worldwide demand for stainless steel KEGs will continue to rise in the short and medium term. That’s the view of Guido Klinkhammer, Business Unit Sales Director at SCHÄFER Container Systems, and he is not only referring to the order books in his own company. The expert sees the ban on one-way plastic products currently being debated by the EU as one additional reason. Mainly responsible, however, is the general trend towards sustainability and the increasing variety of beers for which stainless steel KEGs, both large and small are much better suited. “Though PET KEGs do have their benefits, their use will be considerably reduced over the coming years”, says Klinkhammer. Reusable KEGs offer breweries greater options regarding volumes and branding potential and those made of stainless steel don‘t influence the flavour of the beer they contain. This is a complete contrast to plastic, from which substances can generally leach into the environment and have quite harmful effects. On top of this, stainless steel KEGs are much more ecological and economical. They can be used for up to 30 years and their average of 4 cycles per year significantly cuts down CO² emissions, compared with those generated by the production of new one-way containers. At the same time, they are 100 % recyclable. This means that, taking the scrap value and multiple usage into account, the cost proportion of a 30 litre stainless steel KEG for each dispensed beer, for instance, is around one twentieth of that of a plastic KEG, despite the initially greater outlay. -Risk and cost reduction thanks to self-calibration and "Heartbeat Technology"
Ball Corporation (NYSE: BLL) announced that it will cease production at its beverage packaging plant in Cuiabá, Brazil. Customers currently supported by the Cuiabá plant will be supplied by other Ball facilities in Brazil. "Absorbing this one line can plant into Ball's remaining network of 13 plants in South America allows us to reduce our cost structure while continuing to effectively and efficiently supply our customers with the most sustainable package in the beverage supply chain," said Carlos Pires, president, Ball Beverage Packaging South America. Maryland Gov. Larry Hogan was on hand on August 2 to help open the first Guinness brewery on U.S. soil in more than 60 years, WTOP reported. “Our administration is proud of Maryland’s robust and growing brewing industry and we are excited to welcome a legendary brewery like Guinness to our great state,” Hogan said at the ribbon-cutting ceremony for the Guinness Open Gate Brewery and Barrel House in Halethorpe, Maryland. The brewery opens to the public at 3 p.m. Friday, August 3. The new brewery sits on the refurbished site of a former Seagram’s bottling plant in Baltimore County. The beer-maker said the brewery will create 200 new jobs and said it hopes to attract 300,000 visitors in the first year. The Baltimore County operation will be home to new Guinness beers specifically created for the U.S. market, such as the Guinness American Blonde Lager. The brand’s iconic stout will continue to be brewed at the famed St. James’ Gate in Dublin. Construction on the $80 million project began last spring. The brewery opened a test taproom last October. Diageo, which owns the Guinness brand, said it chose the Baltimore area for its first U.S. operation in several decades because of Maryland’s thriving brewing industry. The last time Guinness beer was brewed in the U.S. was in the early 1950s in New York. Hogan has been a big supporter of Maryland’s craft brewing industry, which the governor’s office said has helped poured $637 million in economic output into the state and supported more than 6,500 jobs. Britvic reports third quarter revenue of £366.9m, an increase of 3.4% on a strong comparative prior year number (+4.5%). Revenue excluding the Soft Drinks Industry Levy (SDIL) decreased 0.6% over the third quarter. Year to date reported revenue increased 4.2% (2.8% ex-SDIL) to £1,100.1m. -GB revenue increased 8.0% (+1.9% ex-SDIL), with GB carbonates revenue increasing 6.1% (-2.9% ex-SDIL). Pepsi continued to gain share, led by outstanding execution of MAX. There was a well- documented disruption to the supply of carbon dioxide into the UK and Ireland within the period, which impacted the wider food and drink industry, including carbonated soft drinks. To ensure continuity of supply across all trading channels, we temporarily scaled back our promotional activity and reallocated some of our secondary feature space to stills. Supply has now normalised, enabling us to start rebuilding stock levels and gradually reintroduce promotions. GB Stills revenue growth was particularly strong, increasing 11.9% (+11.7% ex-SDIL). Underlying performance continued to improve, led by strong growth for both Robinsons and J20, and further enhanced by the additional display space referenced above. -Since the introduction of the SDIL in April, the soft drinks category has benefited from a prolonged period of unusually warm weather. This, when coupled with the carbon dioxide shortage, makes it difficult to disaggregate the effect of the Levy, and we anticipate having a more informed view of the impact at the end of the year. Early indications remain positive for the category and Britvic, with the shift from full sugar to low or no sugar products accelerating. -Ireland revenue increased 11.3% (+6.6% ex-SDIL), against both a strong comparative period last year and disruption from the carbon dioxide shortage. Our stills portfolio, including Ballygowan water, benefited from the exceptionally warm weather in the period. -France revenue declined 15.0%, reflecting both a very strong comparative last year and exceptionally poor weather in June this year. In the 4 weeks to 24 June, the adverse weather drove a total soft drinks market volume decline of over 14% and a syrups market volume decline of nearly 23%. -Brazil revenue increased 10.2%, against a soft comparative last year. -International revenue increased 8.7% in the quarter. In the USA, Fruit Shoot continued to make progress with increased distribution and additional listings secured. The KHS GmbH Supervisory Board has appointed Dipl.-Ing. Dipl.-Wirtsch.-Ing. Kai Acker (photo) as the new Executive Management Board Chairman, effective October 15, 2018. He will be responsible for the technology, development/production, and human resources areas. Mr. Acker, born in 1968, is currently managing director at LEONI Special Cables GmbH, Friesoythe and director of the "Enterprise & Industrial Projects" segment. After training as a power electronics technician, he studied electrical engineering at RWTH Aachen University and completed MBA postgraduate courses at the Technical University of Munich (TUM). With regard to this personnel decision, Prof. Dr.-Ing. 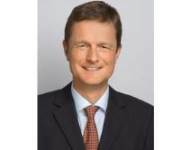 Heinz Jörg Fuhrmann, Salzgitter AG Executive Board Chairman, stated, "We are pleased to have acquired in Mr. Acker a competent executive with a broad range of industrial experience for this demanding position. I am sure that Mr. Acker will have a decisive impact on the growth-oriented development of the KHS Group. I would like to take this opportunity to thank my executive board colleague Burkhard Becker for laying the foundation for promising structures and the associated improved profits as the interim KHS CEO." As an internationally-operating manufacturer of filling and packaging systems for the beverage, food and non-food industry, KHS GmbH, a 100% subsidiary of the Salzgitter Group, plays a leading role in this sector. It is an essential member of the Salzgitter AG technology division. Verallia has produced the bottle celebrating the 220th anniversary of Pastis Duval, the genuine Pastis from Marseille on sale in retail stores. This limited-edition dead-leaf conveys the authenticity of the brand part of the La Martiniquaise group. Its engravings on the shoulders and heel highlight the year of foundation, 1798, and the brand name. The anniversary label hints at former advertising posters. Verallia produces the range’s 50cl, 70cl, 100cl and 150cl formats. In France, Verallia, co-leader on the French glass packaging market, is n°1 on the still and sparkling wines segment. It is also a leading player on the spirits, soft drinks and food markets. With its manufacturing set-up of seven glass plants located at the heart of the country and its vineyards, Verallia France proposes to its customers a range of standard and specific products unique in size and variety. UNITED CAPS, an international manufacturer of caps and closures, announced it will be constructing a new manufacturing plant in Dinnington, Rotherham, as part of the company’s ‘Close to You’ strategy. Photo: Initially, 20 staff will be employed to produce beverages and dairy closures. Following the success of UNITED CAPS Irish plant in Greystones, plant director Paul Gorry will oversee the Rotherham plant as well. He has been Greystones’ plant director for eight years and was involved in the construction of the plant at Greystones and the transfer of the production lines to the new plant in Dinnington. Cllr Read added: “This development is further confirmation of the attractive location that Rotherham has become for investors, with United Caps sitting alongside McLaren Automotive, Rolls-Royce, Boeing, Siemens, Forgemasters and others. Developed together with Verallia, the new Ricard Plantes Fraîches bottle really stands out on the aniseed aperitifs’ market. With its rectangular base and aerodynamic silhouette, the bottle features round shoulders and the brand logo engraved in the two side cartridges. José Garcia, sales director at VOA – Verrerie d’Albi, a Verallia subsidiary, explains: "Like its contents, the bottle has taken off to the fields. To convey this idea of final product freshness, work was done on color identification. In the end, tank-colored green glass was chosen.” The first green bottles appeared at VOA - Verrerie d’Albi (Tarn) in January 2017. Since then, two other Verallia plants in France have been mobilized to support the development of this bottle. French glass manufacturing in keeping with a French brand produced in France. Molson Coors Canada has announced that its new Coors Edge non-alcoholic beer will now be available through Amazon.ca, Drinks Insight Network reported on July 30. With less than 0.5% alcohol by volume (ABV), Coors Edge has been double-brewed and contains 45 calories per 355ml can. Molson Coors e-commerce and digital senior manager Tonia Coletta said: “Now more than ever, we all seek options but not at the expense of convenience – this new offering sits at the intersection of those consumer demands: a spot for delicious, non-alcoholic beer in your Amazon shopping cart, ordered from the comfort of wherever-you-are. Molson Coors Canada’s new responsible drinking option will be delivered directly to the consumer’s doorstep. Available in six and 12 packs of 355ml cans, Coors Edge is suitable for people seeking a moderation and control. The company’s latest move offers convenience to beer-loving Canadians. Established in 1786 in Montreal by the Molson family, Molson Brewery merged with the US-based Coors to form the Molson Coors Brewing Company in 2005. Molson Coors operates through Molson Coors Canada, MillerCoors, Molson Coors Europe and Molson Coors International. Its product portfolio includes Coors Light, Coors Banquet, Miller Lite, Molson Canadian, Carling, Staropramen and Sharp’s Doom Bar to Leinenkugel’s Summer Shandy, Blue Moon Belgian White, Hop Valley, Creemore Springs and Crispin Cider. It gives operators the technological innovations of the big machines and is convincing with its compact design and quick installation: with the Innofill Can C can filler KHS GmbH satisfies the demand of smaller breweries on the international market. Since introducing the prototype at drinktec 2017 there has been increased interest in the new technology from the Dortmund systems supplier. This is one of the reasons why KHS is launching a further machine size with a greater capacity to market this year. Photo: Serial number 001 in Vancouver: Canadian brewery Steamworks recently secured itself the very first Innofill Can C can filler. There is also a great deal of interest in the machine among other medium-sized breweries. At the world premiere of the Innofill Can C at drinktec 2017 Canadian craft brewery Steamworks procured the very first machine with a serial number of 001. In commissioning the can filler in February 2018 the Dortmund systems provider laid the foundations for the future machine series. “The high order entry demonstrates that this machine concept is already proving convincing,” says Kevin Rathbun, project manager at KHS USA. The machine manufacturer has already sold a number of the new can fillers worldwide. KHS shipped the can filler in a single container to the customer in Vancouver where it was commissioned on site on a plug-and-produce basis without any need for complicated installation processes. As the 21 filling and three seaming stations, valve manifold, cladding and control cabinet on the Innofill Can C form an enclosed, ready-to-produce machine unit, all that had to be done during installation was to connect up the electricity cables, piping and conveyors. Just 14 days lay between delivery and the commissioning of the prototype. According to Steamworks its new plant engineering fills approximately 15,000 cans an hour in its standard 355-milliliter can format. The craft brewery also uses cans holding 473 and 500 milliliters. “With its new development KHS has again made the technical innovations of its big machines available to the craft brewing segment,” says Rathbun. Steamworks’ CEO Gershkovitch is very pleased with his new can filler. “I like the KHS approach to design. In my experience things with a logical array work best.” In addition to the compact layout and fast installation, Gershkovitch also appreciates the machine’s hygienic design. In particular, this includes a gapless bell guide with PTFE expansion joints (Teflon) and bells which are lifted and positioned fully electropneumatically to seal the cans – without any mechanical action from cams and rollers. This does away with the need for water lubrication, simplifies cleaning and promises a service life which is up to twice as long as before. The Innofill Can C is designed for low to medium outputs depending on the can size. KHS is to initially implement a further machine size this year in order to increase the capacity for filling 330-milliliter cans from 15,600 to 27,800 cans per hour. “In addition to craft brewers, who continue to grow and grow, medium-sized breweries are also increasingly asking for further cost-efficient machines for the medium capacity range,” emphasizes Rathbun. According to specifications the can filler can also process carbonated soft drinks or CSDs. “The output is then slightly higher”, Rathbun states. U.S. drinkers, particularly young ones, are having relationship problems with the national beverage, beer, as for the first time, Americans reaching for a drink more often chose a glass of wine or a cocktail, the BusinessAMLive reported on August 1. According to the Beer Institute, a trade group, drinkers chose beer just 49.7 percent of the time last year, down from 60.8 percent in the mid-90s. Among 21 to 27-year olds, the decline has been sharper. Anheuser-Busch InBev SA, Budweiser’s owner, found that in 2016, just 43 percent of alcohol consumed by young drinkers was beer. In 2006, it was 65 percent. Specifically, per-capita beer consumption in the U.S. fell to 73.4 litres last year, from 80.2 in 2010 and 83.2 litres in 2000, according to IWSR, a drinks market research firm. Germany, by comparison, consumed 103 litres a person last year. John Saputo, who owns beer distributorships in Florida and Ohio, according to Wall Street Journal (WSJ) report, realized the industry had a problem a few years ago when he went out with a team of young radio-ad sales people who wanted him to advertise Budweiser and Bud Light on a local station. According to the WSJ report, big brewers are facing the same seismic shifts in taste as other large consumer goods and packaged-food giants. Consumers, especially younger ones, are gravitating toward smaller brands marketed as healthier, more natural or made closer to home. Brands such as Kellogg’s cereal, Campbell’s soup and Aunt Jemima pancake mix are all feeling the pinch. Mass-market beer makers are losing drinkers to an explosion of spirits brands, such as Tito’s vodka, owned by Fifth Generation Inc. Craft beer brewers rode that wave, too, but their volumes haven’t come close to making up for declines in mainstream beer. More recently, craft-beer sales also have slowed. Miller Lite, Coors Light, Bud and Bud Light have all lost share to upstart labels. “The big things are declining. The smaller things are growing,” AB InBev Chief Executive Carlos Brito told investors in March. Demographics also are at work. Industry research has shown young white males still prefer beer, but their numbers are declining as a percentage of the population. African-Americans favor spirits, and the percentage of liquor consumers that are Hispanic is rising, the research shows. Women’s per-capita alcohol consumption has risen, but they prefer wine and cocktails. Millennials drink less than older generations, hitting alcohol volumes more broadly. The beer industry has tried to make up for declining volume by increasing prices. That has helped make whiskey and wine relatively more affordable. Beer prices rose 42 percent between 2000 and 2017, compared with 11 percent for wine and 19 percent for spirits, according to a Brewers Association analysis of data from the Bureau of Labor Statistics. As sales slide, a sense of crisis has taken hold of the industry. On Wednesday, Molson Coors Brewing Co. reported a 3.1 percent drop in U.S. second-quarter sales driven by lower volumes of its light beers. Last week, AB InBev—which swallowed SABMiller PLC in 2016 to solidify its title as world’s biggest brewer— also reported U.S. revenue fell 3.1 percent in the second quarter on lower volumes. On July 30, Dutch brewer Heineken NV reported its U.S. beer volumes declined in the first half, blaming the consumer shift from lager to craft beer and spirits. America has long been a nation of beer drinkers. Through the 1600s, the “ordinary,” akin to the local pub, flourished across New England. The Dutch West India Co. built America’s first large brewer in 1632. Today’s big beer brands trace their ancestry to German-style lagers that made their way to the U.S. in the mid-1800s, along with waves of German immigrants. Adolphus Busch was one of them. He married the daughter of Eberhard Anheuser, another local brewer, and eventually went to work for his father-in-law. In 1876, he rolled out America’s first Budweiser. Busch was the first U.S. brewer to pasteurize beer to prevent spoilage. He built a network of ice houses near railroad lines, allowing him to distribute his brew widely. Anheuser-Busch, having survived Prohibition by using its refrigerated trucks to sell ice cream, eventually surpassed Schlitz as America’s biggest brewer. Toriaezu, bīru—“Let’s start with a round of beer!” This standard phrase, often spoken before anyone has a look at a restaurant menu, reflects the Japanese people’s love for beer. Whatever the occasion, it starts with a glass of beer, especially in the hot summer months, Nippon.com reported on August 3. This does not mean that beer is as popular as it has ever been, though. Regular beer consumption peaked in 1994 at 7,057,000 kilolitres. Consumption fell yearly after that; by 2009 it had reached the same level it had been in 1970. Even so, Japanese still love beer like beverages. The first drop in regular beer consumption occurred when the low-malt beer called happōshu, literally “sparkling spirits,” was launched in 1994. The Liquor Tax Act defines beer as having a malt content of 67% or more, so Suntory developed a beer like beverage using less malt, making it subject to a lower liquor tax than beer. With a taste and aroma close to beer, yet at a cheaper price, it was a huge hit with consumers and other brewing companies soon followed suit. As a way to prevent products being created with the purposed of reducing tax, the Ministry of Finance reformed the Liquor Tax Act in 1996 so that happōshu with a malt content of more than 50% was the same tax rate as beer. However, brewing companies retaliated by introducing happōshu with a malt content of less than 25% to the market. They also developed new products with extra benefits like reduced calories, expanding this new market. In 2003, when the happōshu market had reached its heyday, the Ministry of Finance raised taxes on the low-malt beverage for the second time. This time, Sapporo Breweries reacted by developing a beerlike product that used no malt whatsoever, and a new genre of beer-flavored beverages known as “third beers” was born. The “third beers” are placed by the National Tax Agency in two categories—“other brewed liquors,” created by fermenting ingredients like peas and corn, and “liqueur,” where spirits are added to happōshu with a malt content of less than 50%. The tax rate on beer-flavored beverages is even lower than that for happōshu, so a 350 ml can costs around ¥100, about half the price of beer. This highly affordable drink can easily be enjoyed at home, and the market for this type of beverage has grown so much that it has surpassed the happōshu market. Currently, the tax rate for a 350 ml can of a beer like beverage is ¥77 on regular beer, ¥46.99 on low-malt beer, and ¥28 on beer-flavored beverages. In the 2017 tax reform proposal, it was decided that the tax rate on regular beer will be reduced in three phases, so that by 2026 the tax on all beer like beverages will be unified at about ¥54. The definition of beer was amended to having a malt content of 50% or more and now fruit and spices can be used in the ingredients. During the past two decades, brewing companies have repeatedly used gaps in the tax rates to develop new products, followed by the Ministry of Finance reforming liquor taxes. If the tax rate can be unified, the brewing companies will likely focus more on developing regular beer—good news for all beer lovers, who prefer the taste of the real thing. Lion New Zealand has clinched a deal to buy Harrington's craft brewery - one of the pioneers in the boutique sector, The Press reported on July 31. When John Harrington set up the business in Christchurch 27 years ago, the only other independent brewer of note was Nelson-based McCashin's which Lion bought in 1999, although the latest generation of the McCashin family continues a local operation. The Harrington's brand will be integrated into the Lion's den for wider national sales, providing a niche between the traditional Mac's brews and more intense hop-flavoured beers of Emerson's, which it acquired in 2012. Harrington's founder, John Harrington said the market was "a very different place" from when he started and he had been thinking for a while about how best to carry the business into the future. He said he had a relationship with Lion since his publican days and it had a strong track record of growing craft beer brands. "We're confident that the work we've done in creating a strong legacy will be protected, and even strengthened by this move," Harrington said. Lion plans to invest about NZ$2 million updating the Christchurch brewery in the initial stages to reinvigorate the business and improve brewing processes. Rory Glass, Lion managing director said his company was honoured to be approached by Harrington's. "Harrington's has such a rich and proud history and will be a fantastic complement to our existing range, with beers like Rogue Hop, Wobbly Boot and Ngahere Gold. We will build on what has made Harrington's so great and help make their beers more accessible to people across the country," Glass said. Changes were already afoot at Harrington's. Over the past three years the family quit operating their own retail outlets and moved to purpose-built leased premises at Wigram to focus on bottled beers for supply to supermarkets, including in the North Island. Over the years Harrington's has won more than 100 awards including the NZ Grand Champion Brewer 2012. Harrington's and Lion will work together during the transition to new ownership and founder John Harrington will remain as brand ambassador. The deal marks further evolution of the beer market from 30 years ago when Lion and its rival, Dominion Breweries, dominated the market with several of their own slightly different versions of draught beer. They still have about 90 per cent of the market between them but their offerings include far more craft beers as a result of their takeovers of several independent brewers. There are still about 150 independent craft brewers. Lion employs about 1000 people in various premises including its head office and main brewery, The Pride in Auckland, and at its Speight's, Emerson's (Dunedin) and Panhead Breweries (Lower Hutt), Wither Hills winery and Liquor King stores. It also has a 25 per cent stake in Tauranga-based GoodBuzz Beverage Co, specialising in kombucha. In its last profit report Lion highlighted higher volumes of craft beer sales, up 31 per cent for Mac's and 90 per cent for Emerson's, and "stellar performance" by Steinlager Tokyo Dry "bucking prevailing trends in a challenging beer market". Beer makes up about 63 per cent of all alcohol sales in New Zealand. Recent statistics showed a 1.2 per cent decline in consumption last year but a significant rise in craft beer consumption. Having already received the award in 2012 and made it into the final round in 2016, Symrise has been nominated again this year for the German Sustainability Award. The fragrance and flavoring manufacturer is active in local growing regions across multiple continents and distinguishes itself from its competitors most notably with its systematic environmental sustainability management and its sustainable product portfolio. Symrise integrates the challenges of sustainable development into its operational decision-making processes in order to achieve social, environmental and economic successes over the short, medium and long term. long-term goals: minimizing the environmental footprint and maximizing sustainability in terms of products, supply chains and employees. Symrise also engages within the growing regions and with the farmers by entering into long-term partnerships and investments in local infrastructure. Symrise pays special attention to ethical issues connected to its global material streams. In fact, the company evaluates suppliers based on ethical criteria and works with strategic suppliers to develop action plans, which in turn should increase the social and environmental effectiveness of the core business as well as the resilience of the extensive raw materials portfolio. Symrise is also looking to establish 100 % traceability for strategic raw materials by 2020. Symrise has achieved significant, measurable success over the past years. With lighthouse projects in sustainable sourcing, Symrise has considerably increased the number of people involved in its projects. In Madagascar, the company has already trained more than 5,500 local small-scale farmers in sustainable cultivation methods and included them into the certification program. Symrise has also invested in schools and thus improved the educational situation for over 20,000 children. Symrise is also pursuing similar approaches in other growing regions, including Brazil’s Amazon rainforest. The company wants to achieve more, for instance, in climate protection: It aims to reduce its absolute greenhouse gas emissions in relation to value added by five percent and lower the chemical oxygen demand in wastewater by four percent each year. Symrise is the first company in its sector to receive confirmation from the specialist jury of the Science Based Targets initiative (SBTi) for its long-term CO2 reduction goals. The SBTi’s goal is to implement voluntary reduction measures designed to reduce global warming to clearly below two degrees in line with the Paris Climate Agreement. From vehicles to electronic devices, more and more products are being offered in increasingly diverse design variations. For production, this translates to smaller lot sizes. At the Fakuma 2018, from October 16 to 20 in Friedrichshafen, Germany, using two innovative applications ENGEL AUSTRIA will demonstrate how small lot sizes can be realised with the efficiency and economy of large series. Photo: With a clamping force of 1200 kN, the new e-motion 120 TL is the largest machine in its series. At the Fakuma 2018, ENGEL is celebrating three premieres at the same time with a highly integrated production cell on which two-part callipers are manufactured using ABS. A fully automated solution for the very rapid switch of mould inserts will be presented for the first time, the new size 120 of the all-electric and tie-bar-less e-motion TL series with a clamping force of 1200 kN will be introduced to the public, and thirdly, the expanded functionality of the e-flomo electronic temperature-control water manifold will be presented. Lot sizes of less than 1,000 present a special challenge in injection moulding. In order to economically realise a large number of variations, moulds with interchangeable inserts are often used. At the Fakuma, ENGEL, together with Braunform (Bahlingen, Germany) and other system partners, is going one step further. The system solution presented there allows for a fully automated switch of the mould inserts within just one minute. To this end, the ENGEL e-motion 170/120 TL injection moulding machine is equipped with a mould that includes the fast-switch mechanism patented by Braunform. To clearly demonstrate the potential of the new solution, the two geometrically different components of the calliper will be produced in rapid succession one after the other. After only three shots, the injection moulding machine alerts the integrated ENGEL easix articulated robot that the lot has been fulfilled and unlocks the mould inserts. The robot first removes the last produced component, then changes grippers and switches the mould inserts. From usable part to usable part, this process only takes one minute. Communication between the injection moulding machine and the periphery is conducted via authentig, the MES of ENGEL subsidiary TIG. The software provides the parts data sets to both the machine and the robot. One of the challenges of this application is that both components have widely varying shot weights. In order to already produce a usable part with the first shot following the setup, the injection moulding machine continuously optimises itself with the help of three intelligent assistance systems from ENGEL's inject 4.0 programme. While iQ weight control readjusts the melt volume for each individual shot, iQ clamp control calculates the optimal clamping force and sets it automatically. iQ flow control – the third assistance system on the team – automatically compensates temperature differences in the cooling water manifold circuit based on the measurements determined by e-flomo, and adjusts the pump speed in the e-temp temperature control units to the current process conditions. The electronic temperature-control water manifold e-flomo makes another contribution to the short setup times. The automated, sequential blow-out of the manifold circuits in the mould ensures that water and possibly dirt left in the temperature-control channels is completely removed before the removal of the mould or mould insert. Upon installation, this new function guarantees an optimal ventilation of the temperature-control channels. As compared to the conventional manual blow-out, the automated process saves time and also allows for an extension of the mould's maintenance intervals. Since all channels are not evenly ventilated by pressurised air in the manual procedure, residual water may remain in the channels and lead to corrosion. This risk is eliminated by automation. One real eye-catcher at the Fakuma is the extremely compact layout of the production cell with the easix robot at its centre. The robot is responsible for the complete handling of the mould inserts and components, the marking of injection-moulded parts and their assembly, and the removal of the callipers from the production cell. To this end, the injection moulding machine, the station for grippers and mould inserts, the laser printer, the assembly device and the conveyor unit are arranged around the robot in a star shape. Two factors in particular contribute to the extremely space saving arrangement of the individual components. One is the freely definable prohibited areas of the easix robot and the other is the tie-bar-less clamping unit of the e-motion TL injection moulding machine. The barrier free access to the mould area allows the robot to move very close to the clamping unit with no motion restrictions. With the completely automated production cell, the system partners ENGEL and Braunform are addressing customers who produce articles similar to each other in small lot sizes or with a high degree of variation. Typical products are consumer goods such as writing tools, technical components in the automotive and electronic areas, but also a range of medical technology products. With a clamping force of 1200 kN, the new e-motion 120 TL is the largest machine in its series. This upward expansion represents ENGEL's focus on the trend towards an increased use of multi-cavity moulds. Without any tie-bars in the way, the mould mounting platens can be utilised fully, so that large and bulky moulds can be fitted on comparatively small injection moulding machines. This is also an advantage in the manufacturing of geometrically complex components that require core-pulls and sliders within the mould. Rather than the mould dimensions, now the actually required clamping force determines the size of the machine. This saves costs in new investment as well as current operations. To ensure a long useful life of the mould and a consistently high product quality, the all-electric and tie-bar-less high performance machines by ENGEL are equipped with a highly sensitive platen parallelism adjustment. Machines from this series are often used in the production of extremely small precision parts in the electronics and medical technology industries. With the evolution of its foilmelt technology, at the Fakuma ENGEL presents a roll-to-roll IMD application with a flexibility that has not existed until now. The joint development of the system partners ENGEL, Leonhard Kurz (Fürth, Germany), Schöfer (Schwertberg, Austria) und Isosport Verbundbauteile (Eisenstadt, Austria) allows for thermoforming, back-injecting, and punching out in rapid sequence the most diverse surface structures from roll to roll within the mould. The broad spectrum of possible material combinations is remarkable. Foils functionalised using capacitive electronics, multi-layered foil systems with topcoat as well as structured, back-lightable, or open-pore systems such as wood can be processed from the roll. In addition to the typical materials such as ABS, PC or PC/ABS, PP can be used for back-injecting. To change the décor, structure and functionality, only the roll has to be switched, not the mould. With the production of differently decorated, three-dimensionally complex sample components on a duo 1060/350 injection moulding machine with integrated viper 20 linear robot, at its exhibition booth ENGEL demonstrates the high flexibility of the series-ready technology. Among others, target groups are the manufacturers of visible parts for car interiors as well as the teletronics and white goods industries. As of January, 2019, the production cell will be available for technology demonstrations, material tests and customer-specific developments in the new ENGEL technology centre at its headquarters in Schwertberg. Another innovation presented by the foilmelt production cell at the Fakuma is the new safety guard developed by ENGEL according to EN ISO 14120, which will be available for all automated injection moulding machines and integrated system solutions as of October. Here again, the focus in development was on high flexibility in combination with a high degree of economic efficiency. The modular concept allows for an especially simple configuration and an equally easy assembly. The comprehensive selection of safety panels and functional elements such as openings, revolving doors and sliding doors allow for the cost-effective realisation even of individual layouts. The heat is on! Research has shown that consumers, in Asia in particular, are looking for hot drinks that can also be taken with them for on-the-go consumption. Consumers here enjoy the ‘warmth from within’ of hot beverages. To meet the need to heat RTD beverages, carton solutions expert SIG has developed leading microwaveability solution to aseptic carton packs: The new ‘Heat&Go’ pack is aluminum free and can be heated in a microwave, either in a vending machine, store, café, home or office. According to research by GlobalData in 50 countries, demand for hot drinks is likely to increase by 15% in value, and by 22% in volume between 2014-2019. SIG’s own research in China revealed that 72% of consumers are dissatisfied with current heating methods for on-the-go products and are looking for new methods of fast and convenient heating with their increasingly cash-rich and time-starved lifestyles. ‘Heat&Go’ offers protection to beverage products, and can be produced on existing SIG filling machines with a simple, one-time upgrade to enable it to run standard and aluminum-free material structures. By replacing the aluminum foil with a high-barrier film and a light blocking pigment, ‘Heat&Go’ protects the product from oxygen ingress, flavour migration, light and water, and is perfectly suited for still drinks and low viscosity, sensitive, enhanced juice and liquid dairy beverages. Consumption figures for on-the-go microwaved hot drinks in target markets indicate great market potential. Consumers enjoy a warm beverage at cold temperatures, as well as prior to going to sleep or for food digestion after meals. Research from Canadean has shown that on a global basis, 48% of consumers are concerned about their digestive health and prefer hot drinks over cold drinks. Around 78% see hot drinks as being good for the stomach and 31% see them as an aid to digestion. Research shows that around 64% of consumers are using food and drink to allow them to relax and indulge themselves with a warm drink, such as hot chocolate, as a well-deserved treat. Talking of hot drink occasions, research reveals that 76% of people surveyed like to have a hot drink in the morning and 42% before going to sleep at night. The ‘Heat&Go’ carton is opening up new drinking occasions and targeting new consumer groups. It is an exciting leading technology from SIG, serving the Asian market in particular, where differentiation and innovation are key to attracting today’s on-the-go consumer. As part of its Value Proposition, SIG aims to drive Product Innovation and Differentiation by delivering innovative product and packaging solutions which enable businesses to satisfy the ever-changing needs of an increasingly mobile society. MiWadi is a truly iconic Irish brand and continues to grow from strength to strength in the marketplace. From humble beginnings in 1927, MiWadi is still produced in Dublin to this day and around 16.5 million litres of MiWadi are consumed every year. This year, MiWadi is proud to introduce its new range of MiWadi 0% Sugar Super Fruity tasting flavours, a fusion of delicious new flavours combined with all the goodness and nutrients of fruits. Available in two flavours Blueberry & Passion Fruit and Cranberry, Apple & White Grape the range is also fortified with added vitamins B3, B6 and Zinc which contribute to the normal function of the immune system and the maintenance of normal bones. Like the rest of the MiWadi 0% Sugar range, the new flavours contain natural colours and flavours and are made with real fruit1. MiWadi 0% Sugar is unique to the MiWadi portfolio in that it is sweetened from a natural source (stevia leaf extract) and delivers the same refreshing taste that has made MiWadi a family favourite for 91 years. MiWadi 0% Sugar contains no more than five calories per glass and is now available in five fruity flavours: Orange, Apple & Pear, Apple Berry as well as our new flavours Blueberry & Passion Fruit and Cranberry, Apple & White Grape. The new report, ‘Alcohol in the Shadow Economy’, explores the cost to people, societies, and economies of this largescale and illegal activity and highlights the importance of creating partnerships between regulated producers, governments, and communities in tackling harmful drinking. One of the examples for tackling illicit alcohol featured in the report is Diageo’s Senator Keg, an affordable and safe alternative brew that relies on low-cost ingredients sourced from local growers. The end result is a high-quality beer that is regulated, compliant with standards, yet competitively priced so that it is accessible to the poorest consumers who were previously at greatest risk from contaminated illegal alcohol. Senator Keg has been a globally acclaimed success and has supported growth and while serving an important public health goal for consumers and government. The craft beer boom has kept up momentum in the UK in the last 12 months, new data has shown. A record £135 mln was spent in the category in the year to June, up 47 per cent from last year's total of £92 mln, according to Kantar Worldpanel. This was on par with the 47 per cent increase in consumption recorded last year, when the boom got into full swing. Growth in the category has accelerated swiftly since 2015, when spending rose just 13.5 per cent to £46 mln. More people are now going hopping mad for the craze, not only spending more on specialist beers but drinking higher volumes too. Over the past 12 months, British drinkers consumed 38 mln litres of craft beer, up 52 per cent on the year. The fast-growing sector has become a target for more established companies, which are now snapping up British breweries. Most recently, Beavertown sold a stake to Heineken to fund a new £40 mln brewery. 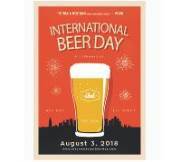 Other notable sales include Camden Town Brewery to AB InBev, and London Fields Brewery to Carlsberg. Meantime was also sold to AB InBev, but later sold on to Asahi. Jamaican brewery giant Desnoes and Geddes (D&G), producers of the world-famous Red Stripe Beer, kicked off celebrations of its 100th anniversary with a church service at the Boulevard Baptist Church in Kingston on July 8, promising several more centuries of its great product and expansion in market consumption, by taking Red Stripe into Germany by 2019. A continuing increase in sales for Great Northern beer has seen Carlton and United Breweries (CUB) make the decision to add to the beer’s brewing capacity, The Shout reported on July 13. Originally brewed in Queensland for Queenslanders, the ‘Beer from up Here’ will now also be brewed at CUB’s Abbotsford brewery in Victoria as the brewer looks to meet demand, especially after the decision to make Great Northern Original available nationwide. “Eight years after the first Great Northern rolled out of our Queensland brewery, and with Great Northern Original now available outside Queensland, we’ve seen massive growth in Great Northern all across Australia,” said Sales Manager, Mick McKeown. “From 16 July we’ll be brewing Original and Super Crisp at CUB’s Abbotsford brewery in Victoria as well as up here, so we can deliver the freshest possible beer to Australian beer lovers wherever they are. “All of the Original and Super Crisp for Queensland and the NT will continue to be brewed up here in Queensland, the home of Great Northern. McKeown added that the success of Great Northern was proof positive there was room for innovation in the Australian beer market. “It’s so exciting that it has developed a following amongst people right around the country. I am incredibly proud of how well it’s doing and I am so pleased we’re able to rise to the challenge of increasing demand down south as well,” he said. “Great Northern was created as a thirst-quenching lager to suit the sun-drenched climate, outdoor activities and laid-back lifestyle of Queenslanders. The deal will see Fourpure Brewing Co become 100% owned by Lion, while the company, which is in turn owned by Kirin Holdings Company Limited, has plans to use Fourpure’s sales and distribution channels to expand the reach of its Australian and New Zealand beers in the UK. Explaining the decision to sell the business to Lion, Daniel Lowe highlighted the “technical skills and experience” of Lion and its stewardship of Australian brewery Little Creatures. “We spent a long time listening to offers and looked at more traditional methods of funding, but around three months ago we met with the Lion team and very quickly it became something that was very exciting to both of us. Lion global market’s managing director Matt Tapper pointed to Fourpure’s commitment to people and brewing as key factors in the decision to invest in the brand. He said: “The first time I met Dan and Tom and the team at the site a couple of things stood out: the passion and the quality of the people and the focus and investment in the brewing equipment and sensory lab, which is pretty unique for a brewery of that size. These are guys who are serious and committed to making great beer. Lion will also invest heavily in Fourpure’s Bermondsey brewing facility and taproom. Lowe refused to put a figure on any future investment, but stated it would be “considerably more” than the £2 mln investment it saw last year. Another week, another stake of an independent London brewery is snapped up by a multi-national, further demonstrating the strength of the capital’s brewing scene. However, this acquisition, which sees Fourpure become a wholly owned subsidiary of Lion, could prove to be extremely beneficial to both parties. From Lion’s perspective, the addition of Fourpure not only sees the company purchase a multi-award winning and rapidly growing brewery, but also a team of 70 employees and a network with which to bring some of its Australian and New Zealand beer brands to the UK. Lowe and Tapper both admitted that Fourpure will eventually be helping to promote and distribute Lion brands, something that Lowe believes is a “natural next stage” in the relationship. For a company with a very limited presence in the UK, this acquisition could prove to be a very shrewd one indeed. For Fourpure, the benefits of this deal are primarily in the experience and technical expertise that Lion has in growing beer brands both in local and global markets. Lowe has stated that Fourpure’s focus will remain in the UK (less than 10% of the company’s overall business is currently in export) but there will certainly be opportunities for overseas growth, particularly in the Australian and New Zealand markets where Lion is so dominant. Lion’s longstanding commitment to sustainability and reducing its manufacturing footprint will also have been appealing to Fourpure when weighing up the deal. While UK consumers may not be overly familiar with Lion or its portfolio of products, they shouldn’t be fooled into thinking that the company is any less influential than the more well-known multi-national drinks companies. Lion employs more than 6,500 people acoss the globe and has a global revenue of more than A$5 bln. It owns 34 production sites globally including large breweries, wineries, dairy farms and juice factories, and is in turn owned by Kirin, which also owns 48% of San Miguel Brewery, among others. Small and independent it is not. Lowe insists he is “not particularly” worried about the potential backlash to this deal from the UK craft beer scene, but it will be interesting to see if the outcry is as loud or as ferocious as it was when the Beavertown-Heineken deal was announced last month. The acquisition also takes the number of Lion employees based in the UK from four to 74, and Tapper hinted that the company would seek to use Fourpure’s sales and distribution network to promote other brands in its portfolio. The commercial terms of the transaction have not been disclosed by either party. However, Tapper stated that the fee paid by Lion “reflects the great job that Dan and Tom have done to date” and its “confidence in the journey that we are going to continue to go on”. On the subject of how he felt UK drinkers might react to the sale, Lowe said: “My concern is with our customers and with our beer quality. I think we have been pretty clear and authentic with what we have done and our message. Am I worried? Not particularly. Haters will hate and people will say what they want to say, but ultimately the people drinking the beer will have the final word. Anheuser-Busch InBev has moved its US craft beer portfolio into a standalone business unit as part of a shake-up of its High End division, the company announced. The new unit houses all 12 of A-B InBev's North American craft beer brands, including Goose Island, 10 Barrel Brewing and Elysian Brewing Co. The unit is led by Felipe Szpigel, head of the High End since it was set up in 2014. Meanwhile, sales and marketing for The High End's non-craft brands, which include Stella Artois, Estrella Jalisco and Shock Top, have moved to AB InBev's core US sales and marketing team. At the same time, dedicated sales and marketing resources have been given to the brewer's 'Beyond Beer' segment, which includes non-alcoholic drinks such as Teavana and flavoured malt beverages such as Lime-a-Rita and SpikedSeltzer. Announcing the changes last week, Anheuser-Busch, the US unit of AB InBev, said: "[This] is an important step to better align our commercial structure with our new long-term business strategy, specifically as it relates to premiumisation and innovation. "We are encouraged by the early signs of growth that have been reported, and believe this new structure offers us the best opportunity to build on the momentum." Air conditioner makers and breweries in Japan are increasing their production, anticipating extremely hot weather this summer, The Japan News reported on July 13. The Japan Meteorological Agency expects the average temperature in the coming month to become higher than in the average year in the Honshu, Kyushu and Shikoku regions. Daikin Industries Ltd. raised this month’s production of air conditioners for sale in Japan by 10 percent from its initial plan. Production at rival Mitsubishi Electric Corp. continues at full capacity in line with its plan to increase shipments by 10 percent in the fiscal first half ending in September from a year before. A Daikin official said that demand temporarily slowed due to the recent heavy rain that hit western Japan but will grow if the sky clears up. “The weather is likely to be extremely hot in the three-day weekend from Saturday, so we expect sales to rise,” said a Mitsubishi Electric official. Kirin Brewery Co., a unit of Kirin Holdings Co., intends to increase the output of low-priced “third segment” quasi-beer products in July and August by 40 percent from a year earlier and that of overall beer products including “happoshu” low-malt beer-like beverages by 10 percent. Asahi Breweries Ltd., a unit of Asahi Group Holdings Ltd., increased the production of canned “chuhai” spirits this month by 30 percent from its initial plan. The number of visitors to the Toshimaen amusement park in Tokyo’s Nerima Ward rose 2 percent from a year before to some 15,000 between June 30, when swimming pool operations started for this summer, and Sunday, July 8. “The visitor number is expected to rise further as the pool facilities are open every day starting Saturday,” a Toshimaen official said. Sao Paulo bar owner Arthur Santi has long served up boatloads of ice-cold Skol, one of Brazil’s most popular beer brands and a mainstay of brewing giant Ambev SA, Reuters reported on July 5. Nevertheless, Heineken has begun upgrading its network. Since last year, it has built six new distribution centres throughout the country, bringing its total to 29. Corona Premier and Corona Familiar – the first major Corona innovations in over 25 years – are already exceeding expectations, says Constellation Brands, while it is also experimenting with premium spiked refresher Corona Refresca in test markets, BeverageDaily.com reported on July 3. Corona Premier – ‘a smooth, perfectly balanced lager with only 90 calories and 2.6g carbs’ – is a light beer launched in the US in March. Corona Familiar – a ‘full flavored lager that taps into the tradition of sharing with family and friends’ - was launched in Constellation Brands’ major Hispanic markets in 12 oz bottles last year. The Corona portfolio is brewed in Mexico by Constellation Brands and imported and marketed exclusively to the US by the company. Corona Extra has been the top imported beer in the US for more than 20 years and the number five beer brand overall. Constellation Brands says the test launch of Corona Premier last spring validated the interest in a light beer alternative, targeting men over 35 who want to trade up. “Corona Premier offers the light beer experience men 35 plus have been waiting for …these guys have upgraded just about every brand in their life since college – now it’s time to upgrade their beer, too,” said John Alvarado, vice president of marketing for Corona as Premier launched in March. The target market is a key one for light beer: men aged 35 and over make up 43% of the light beer segment, and represent 54% of US light beer volume. Corona Premier differentiates itself from Corona Extra and Corona Light as a low carb and low calorie variety suitable for ‘the mature, sophisticated consumer’. Corona Premier has 90 calories and 2.6g carbohydrates; compared to the 148 calories / 13 grams carbohydrates in Corona Extra and 99 calories / 5g carbohydrates in Corona Light. Rob Sands, CEO, Constellation Brands, says the launches of Premier and Familiar have benefited from significant investment in marketing as the company continues to invest in building brands. “The successful launches of Corona Premier and Corona Familiar are the first two major Corona initiatives in more than 25 years,” he said, speaking in the company's Q1 2019 earnings call last week. “Premier has achieved record speed to shelf with velocities increasing each month since launch and Familiar has already achieved a healthy share of the category in its regional expansion with velocities outpacing our expectations. Sands says Premier is ‘responding probably a bit above our expectations’ and is pleased with the brand’s performance over its first four months. Sands acknowledges that cannibalization against Corona Extra and Light could be a concern but says that it has not been an issue to date. So where are consumers for Corona Premier coming from? “I think it’s probably pulling its consumers from domestic premium lights and that kind of makes sense when you think about it, because it’s a low calorie, low carbohydrate beer,” said Sands. Corona has been supporting the launch of Premier with TV, digital, out-of-home, social media and public relation campaigns; including as broadcast sponsor of the US Open of Golf and the British Open, as well as title sponsor of the American Century Golf Tournament. Corona is also experimenting with Corona Refresca, a premium alcohol-spiked refresher available in passionfruit lime and guava lime. The flavored malt beverage was recently introduced in three test markets, supported by English and Spanish language TV and sampling events. Constellation Brands says it is targeting high-single digit volume growth and 9%-11% net sales for its beer business – which also includes Modelo, Ballast Point, and Funky Buddha - in fiscal 2019. Nestlé Waters North America (NWNA) announced Adam Graves has been named President and Business Executive Officer (BEO) of Nestlé Waters Canada, effective August 1, 2018. Graves will also serve as a member of the NWNA executive team and will report to NWNA President and CEO Fernando Mercé. In his new role, Graves will be responsible for the overall operations of the Nestlé Waters Canada business, including: revenue, profit, market share, environmental stewardship and sustainability, product quality and customer satisfaction. Graves’ career has spanned more than a decade within the Nestlé family of companies in diverse leadership roles across the Americas and in Europe. Most recently, from 2015 to present, he served as General Manager & BEO, Nestlé Purina PetCare Colombia and Ecuador, where he and his team delivered year-on-year profitable growth, consolidating the business’ leadership position in a highly competitive and fast-growing market. Graves assumes this new role as former President & Business Executive Officer (BEO) of Nestlé Waters Canada, Debbie Moore, is retiring after a long and successful career with Nestlé, spanning more than four decades and two continents. Moore has served as a trusted leader at Nestlé Waters North America and a key member of the company’s executive team. Before being appointed as President & BEO of Nestlé Waters Canada in October 2013, she led customer-facing supply chain & customer service in Nestlé’s headquarters in Vevey, Switzerland, and previously held roles in trade investment and sales on both sides of the Atlantic. When life gives you lemons, discover NEW Club Zero Lemon! 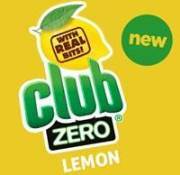 Britvic Ireland is delighted to welcome NEW Club Zero Lemon to the Club Zero family this summer. With summer finally here, what better way to celebrate one of Ireland’s favourite brands by discovering the legendary lemon taste of NEW Club Zero lemon! Club Zero Lemon arrives just as the summer gets underway, giving consumers a distinctively zesty fruity zero sugar flavour with no taste compromise. While Club has been part of Irish life for decades, Britvic Ireland is proud to introduce Club Zero Lemon to its ZERO sugar line-up along with Club Zero Orange, Club Zero Rock Shandy, Club Zero Raspberry as well as the limited edition Club Zero Super Split. The launch will be heavily supported through the summer months with TV, digital, sampling, Trade and consumer press and in store activation. Club Zero Lemon is available in stores nationwide in 500ml at an RRP of €1.29 and 2litre bottles €2.39. Club is the number one Irish soft drink in the market and a quintessential Irish brand that has excited and entertained consumers since it was first developed in Dublin in the 1930s. Club is renowned for its superior taste and texture (the 'bits') and now you can discover the great zero sugar taste with the Club Zero range. This week Diageo opened a new glass bottling line at its spirit’s manufacturing Plant - International Distillers in Uganda. The new line will quadruple current capacity. The 13 billion Ugandan shilling (UGX)investment has a capacity of 6,000 bottles per hour, replacing the old line installed in 1963 which had the capacity to produce 1,440 bottles per hour. The new line will allow Uganda Breweries to not only grow in terms of volume, but also increase the number of products processed locally in market. It follows on from a 44 billion (UGX) state-of-the art bottling line which was launched in 2010 doubling capacity of the beer bottling plant. Diageo’s Africa President, John O’Keeffe, the Managing Director of Ugandan Breweries Mark Ocitti and and the Minister for Trade all attended the launch on the 19th June. Speaking at the launch, the Minister of Trade, Industry and Cooperatives Hon Amelia Kyambadde said: “I commend Uganda Breweries for being a committed partner in our nation’s industrial development and was pleased to learn that the Brewery is utilising locally sourced neutral spirit to produce a number of your great brands. The increased production capacity will go a long way in boosting our local sugar industries, improve government collections and reduce foreign exchange outflows.” Uganda Breweries is now Uganda’s fourth largest tax payer which is set to increase with the new production capacity. The new capacity means that Uganda Breweries will be expanding its range of brands currently produced locally. The expansion facilitates increased capacity of more traditional spirits brands in the market as well as brands like Gilbeys , Richot and Smirnoff which we have been producing in Kenya. The combination of creativity, variety and 400 years of brewing tradition is one of the central success factors of the brewery. Eichhorn points out: “Our aim is to brew beer varieties, which may have some rough edges in a positive sense and precisely for this reason impress and convince our customers. We gladly leave the production of replaceable mainstream beers to the industrial breweries.” With great success: the brewery not only wins loyal customers, but also renowned awards with its beers. The silver medal in the European Beer Star and the gold medal in the International Craft Beer Award for the wheat bock beer are just two examples. Currently, the consumers can choose from a complete range of eleven beer specialties, one mixed beer drink and fourteen non-alcoholic drinks from the brewery’s own production. Photo: The world’s first OMNIUM brewhouse is installed in the Schlossbrauerei Reckendorf. Eichhorn sees other important advantages with OMNIUM: “Among other things, we can intervene in the individual process steps in such a way that we achieve the best result for ourselves and our customers, both in terms of yields and in terms of valuable ingredients.” The OMNIUM brewhouse provides Eichhorn with the opportunity to compensate the increasing fluctuations in malt quality, mostly influenced by the climate. The core component and centerpiece of the new brewhouse is the mash filtration process NESSIE by ZIEMANN, which was already presented at the BrauBeviale in 2016. The mash is separated into wort and spent grains in a continuous process and the extract is obtained by a target-oriented guiding of the generated flows. This results in a short process time and high yield efficiency. Another new development is the post-saccharification of wort ALADIN by ZIEMANN. The saccharification usually takes place exclusively during mashing. ALADIN takes into account the influence of the thermal boiling processes on the saccharification of the malt starch. As a result, the quality of the wort at the end of its production with malt enzymes is ensured. Another new development is the fractional wort boiling JANUS by ZIEMANN. A second boiling vessel takes up about 1/3 of the brew for separate hop isomerization. Only the partial flows of the NESSIE modules are used, which already have a reduced extract content and a slightly elevated pH value. In addition, this fraction includes many minerals, such as magnesium, and it forms less trub during the wort boiling. These are important factors, which demonstrably increase the hop yield. In the subsequent process steps, the formed wort fractions are again brought together and guided to the fermentation cellar with all maintained valuable ingredients. In addition to the technological advantages, there are also various advantages regarding the building design. The OMNIUM brewhouse has reduced space requirements and requires lower costs for the foundations due to the NESSIE design. This is another central argument for the brewery, since only in this way the new brewhouse can be implemented in a very compact new building, which was desired due to the limited space conditions. In the OMNIUM brewhouse in Reckendorf, three brews per day, with 70 hl each, will be produced. In order to obtain the highest possible variability in terms of the brew sizes to be produced, ZIEMANN HOLVRIEKA equips the wort kettle with an external boiler. The first brew is scheduled for the beginning of April 2018. The official inauguration will follow in July 2018. On Friday, June 29, Verallia’s teams surrounded by a large number of customers and local authority representatives celebrated the 50th anniversary of the Spanish Zaragoza plant and the reconstruction of one of its two furnaces. The site notably produces bottles for the beer market. With this €20m+ investment, the plant can now produce up to 1.5 million bottles a day. Equipped with the best available technology, the new installations meet the most demanding energy consumption and air emission norms and standards. During the event, Verallia’s Chairman and CEO Michel Giannuzzi stated: “Verallia is highly committed to supporting its Spanish food and beverage producing customers. This dynamic and competitive sector has made a strong recovery after the crisis. It innovates and is focused on new markets, with its sights clearly set on exporting”. Working out of its six glass making plants spread across the entire country (Azuqueca, Burgos, Montblanc, Zaragoza, Seville and Telde), Verallia Spain is a major stakeholder on its domestic market. Its Zaragoza plant is highly specialized in producing beer bottles, while the Azuqueca plant produces food jars. The Spanish plants also manufacture bottles for the still and sparkling wine markets, as well as spirits and non-alcoholic beverages. Coca-Cola Turkey has launched its summer promotional range, making unprecedented use of thermochromic inks to add color, function and fun to ten new aluminium beverage can designs. Historically, one or two thermochromic inks have been combined to communicate temperature changes. For the first time, Coca-Cola Turkey is using thermochromic ink technology as a true decorative tool, making it an integral part of how the can looks. Four separate inks have been used to create bright designs that stand out when the cans are chilled and the drinks ready for consumption. The designs featured on Coke Red and Coke Zero beverage cans all have summer themes, ranging from ice cubes and palm trees to sandals and sailing boats. The images are colourless at ambient temperature and change to colourful patterns when the drink is chilled and ready for consumption. Coca-Cola launched the summer campaign with a video featuring Turkish movie stars taking a refreshing dip in the Mediterranean and enjoying a Coke. The cans are produced at Crown’s Osmaniye plant, in central southern Turkey, a state-of-the-art production facility with the capacity to produce approximately two billion cans per year. A total of 70 million units will be produced in 2018 for this campaign alone, with a large number already in the retail supply chain. A high degree of microbiological safety: with the Innopas SX KHS GmbH provides a tunnel pasteurizer which with its modular design meets the growing demands of the beverage industry with its increasingly complex range of products and shorter market shelf lives. The systems supplier from Dortmund has also optimized spare part management for this flexible machine. The beverage market is facing increasing levels of dynamic competition, with new flavors in new packaging formats hitting supermarket shelves at ever shorter intervals. Flexibility is thus becoming more of an issue when it comes to filling. The necessary pasteurization of filled and sealed beverage containers for longer shelf lives is a decisive factor here. The completely modular KHS Innopas SX tunnel pasteurizer for cans and glass and PET bottles fully satisfies these demands. The basic functions of the Innopas SX are initially identical to the tried-and-tested tunnel pasteurizer systems provided by KHS. The dynamic pasteurization unit or PU control system reacts variably to changes in conditions. If, for example, a fault occurs during the pasteurization process, the process temperatures are kept under control in the hot zones of the tunnel pasteurizer to ensure both maximum product safety and flavor stability. New features on the KHS Innopas SX include extended functions in the dynamic PU control system which result in greater flexibility and yield savings in energy and media. Much of this is attributable to the optional speed regulation function. The individual zone temperatures are automatically raised or lowered depending on the conveyor speed. “This allows the pasteurizer to dynamically adjust to match the line behavior within a range of 50 to 105% of the nominal capacity for most processes without making any drastic changes to the pasteurization units and maximum product temperature,” states Knut Soltau, product manager for Bottle Washers and Pasteurizers at KHS. This prevents stops and the corresponding consumption of media and at the same time has a positive impact on the behavior of the entire line. KHS has also made several improvements regarding the design of its Innopas SX, with maximum emphasis placed on easy operation. The tunnel pasteurizer is clearly structured and offers optimum access which chiefly simplifies the maintenance and cleaning of the system. For this reason parts of the process engineering, such as the heat exchangers and media supply, have been relocated on the machine as modules in order to further improve servicing and machine safety. Spare part management for the KHS Innopas SX has also been optimized. The number of components the customer is required to keep in stock has been reduced while the delivery times for spare and wear parts have been shortened. As functions can also be simply retrofitted as an option, this boosts flexibility for the customer and ensures the future viability of filling lines at a low operating cost. In May, Claranor Pulsed light Packaging Sterilization has been awarded by the Solar Impulse foundation, as one of #1000 efficient solutions to change the world! In 2016, Bertrand Piccard and his team achieved the first world tour with a plane powered by solar energy. Their aim: demonstrating around the world that green technologies can bring us far beyond commonly accepted limits, and thus represent a solution for the preservation of our planet. Shortly after his incredible record, Bertrand Piccard and the Solar Impulse foundation launched the World Alliance for Efficient Solutions. Their objective is to identify and promote 1000 technologies bringing solutions in any industrial sector, enabling to combine ecology and economic growth. Since the creation of Claranor in 2004, we are committed to bring to the beverage, food and pharma industries a sustainable alternative to the conventional (chemical or irradiative) packaging sterilization methods. Because it is high efficient, chemical-free, immediate, cost-saving, Pulsed Light technology is more and more considered as a smart and adapted alternative to former technologies. • Team spirit: the common commitment, creativity, and expertise of our team members enables to reach our goals. We have also the culture of partnership, with machinery manufacturers, who integrate our solutions in their lines. This is why we applied to the Word Alliance for Efficient Solution Challenge. In May 2018, the Claranor Pulsed Light Packaging Sterilization was awarded as Efficient solution by the SI foundation, with the #1000 efficient solution label. This recognizes our contribution to build a cleaner world. This strongly motivates us to increase our efforts in this direction. Thanks to their worldwide communication, Solar Impulse will accelerate the awareness about the availability of technological solutions to the major environmental problems we are facing. Because of their incredible record around the world, Bertrand Piccard and his team have gathered the interest of millions of citizens and could make them aware of the interest of technologies to resolve environmental issues. They intend now to transform this attention into action: The Solar Impulse foundation will mobilize and inspire business leaders and key decision makers. Claranor will participate in the next months to support the SI Foundation in their actions when needed. The Solar Impulse Foundation highlights that pioneering solutions, clean, efficient and profitable, will help proving to the world that it’s not too late; everyone, government, businesses and institutions, have a role to play. At the end of the day, if everyone takes his part, it’s not an overwhelming challenge. So, let’s pulse together for a cleaner future! In a first for the beverage industry, Crown Bevcan Europe & Middle East, a business unit of Crown Holdings, Inc. (NYSE: CCK) (Crown) (www.crowncork.com), is launching its CrownConnect™ technology in conjunction with FACT - an all-natural sparkling drink. Each can will be marked with a 2D unique scannable code, making FACT beverage cans the first ever to be produced with a unique digital identity. To this end, Crown has partnered with tech-savvy entrepreneur Olly Bolton, to launch Almond, a blockchain platform that allows consumers to scan a unique hidden product code and rewards them by unlocking tokens that are redeemable for cash. The platform, launched in June of this year, will also unlock details of FACT Water’s story, giving unprecedented access to supply chain information and building deeper, trusting relationships with consumers that will ultimately foster brand loyalty. Crown’s involvement in the project is very much as an enabler of the technology. As well as producing the physical beverage can for FACT Water, on which Almond will be launched, its CrownConnect™ technology provides the 2D codes beneath the tab of the beverage can that facilitate the engagement between consumer (via a scanning application) and brand. The platform, developed in partnership with IoT company EVRYTHNG then comes into effect, intuitively generating rewards and offers based on previous purchases and offering discounts and rewards to users based on their habits and the products they buy. 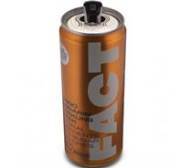 Almond-enabled cans of FACT Water are available to buy in the U.K. and selected European countries from the end of June. We live by the rule of Saint Benedict, a lifestyle summed up by our motto Ora et labora – ‘Pray and Work’. As monks, we strive to earn our living by the work of our hands. We don’t receive any subsidies from the Church for our living expenses, or for the upkeep of our historic buildings. That means we depend on reliable sources of income to continue our life of contemplation, to welcome guests, and to help those in need. ‘Idleness’, says Saint Benedict, ‘is the enemy of the soul’. Work provides balance in our life. It helps us keep both feet firmly on the ground. We aspire to make our work creative and joyful, and to perform it to the highest standard. We go about our tasks as quietly as possible. For monks, work is one part of the contemplative endeavour. A way of praising God, and experiencing solidarity with the rest of mankind. Performed in Christ’s name, the act of work can itself become simple, silent prayer. Members of the community work on carpentry, pottery, bookbinding, and candle making. Others make rosaries and greetings cards, and there is a monastic shop selling our produce and a wide range of artwork and books. A lot of effort is expended on the maintenance and upkeep of our buildings and grounds. We undertake the sort of work common to any family or community, like cooking, cleaning, and laundry. We also look after our old and sick brethren at home, a task which is always given high priority. Several brothers are appointed to work in the guest house, which is open to pilgrims and retreatants who, for a shorter period, wish to share in our monastic rhythm of prayer and peace. Our community’s main work has always been the cultivation of the land. Cistercians have always been farmers. At the beginning of the twenty-first century, it became increasingly apparent that farming was no longer viable at Mount Saint Bernard. Developments in modern agriculture, combined with the consistently low price of milk, made it hard to run our dairy farm profitably. In 2013, we reached a point where it seemed irresponsible to continue. When the inviability of farming became obvious, we began to look for an alternative source of income and common work. We aimed to establish an industry in which many of us could be involved. Brewing met our requirements. After much careful research and community discussion, we decided to revive the Abbey’s beer-making tradition. We know for a fact that beer was brewed here in the nineteenth century and, contrary to widespread perception, monastic brewing has never been confined only to the Low Countries. Past visitors to our community have left accounts expressing their liking for the monks’ table beer. Although the historic recipe has been lost, we’re certain that the ale we’re brewing now is at least as delicious and nurturing. In 2017-18 we relocated our refectory, kitchen, and laundry to provide space for the installation of a new artisanal brewery. We will keep the volume of production relatively small. Just enough to meet our expenses and support our charitable commitments. As of 2018, the brewery is our principal field of labour. All the work, from brewing to bottling and packaging, is done by the monks. All this resulted from much preparation and research. Once we had decided to set up a brewery, we began to practise on a small home brewing kit. We’ve experimented with a range of different beers to acquire experience, and to work towards a final recipe. The monks of Norcia, Saint-Wandrille, and Zundert have taught us a lot, and were generous in sharing their own brewing experience. We’ve received invaluable advice from the eleven other Trappist breweries, and from the International Trappist Association. We’ve also benefited from the kindness and counsel of several local brewers. Cistercians esteem the value of simplicity. Simplicity doesn’t stand for a thing done simply, or cheaply, but rather represents a distillation of complexity. It is about processing and ordering a rich, varied reality in such a way that the result seems self-evident: ‘This is how it has to be!’ We see this quality at work in the way the early Cistercians built their churches, composed their music, wrote their sermons, cultivated their land. We hope you’ll recognise it, too, in the way we brew our beer. Monks have always been great readers, and sometimes great writers too. The label we’ve designed for Tynt Meadow draws on a twelfth-century Cistercian script, subtly developed by Brother Anselm Baker, an early monk of our community who was a noted artist. A quill has also been used to draw our brewery’s logo, a sketch of the lancet windows characteristic of our church. If you get hold of a Tynt Meadow coaster you’ll notice another design inspired by the simple stroke of a pen. We’re happy to share the work of our hands with you. We’re proud of the ale we’ve made, and have made it with joy. We hope you enjoy it. Despite living a life apart, monks are open to the world. We carry the world’s anxieties and hopes in our prayers. We’re always glad to welcome guests who turn up on our doorstep. The monks of old had a saying: Patet porta, cor magis. ‘The door is open, the heart even more so.’ By inviting you to taste Tynt Meadow, we offer you a taste of our life. Trappist beers tend to be named after the place in which the monastery is situated. We’ve called ours ‘Tynt Meadow’, to honour the link with the plot of land on which monastic life was refounded here in the Midlands almost two centuries ago. Being part of the great Trappist tradition, we’ve chosen to produce a strong dark ale, but one with a clearly English character. Tynt Meadow is mahogany-coloured, with a subtle, warm red hue, and a lasting beige head. Its aroma carries hints of dark chocolate, liquorice, and rich fruit flavours. The beer is full-bodied, gently balancing the taste of dark chocolate, pepper, and fig. It leaves a warm and dry finish on the palate. Tynt Meadow is brewed with English barley and hops, using an English strain of yeast. It is twice-fermented, with the first fermentation taking place in the tank, and the second in the bottle. It should be stored in a cool, dark, quiet place. Tynt Meadow English Trappist Ale will be available from selected outlets, including the Abbey shop, from 9th July 2018. FachPack, Europe's No. 1 trade fair for packaging, processing and technology, is much more than just an exhibition, as a peek into the programme booklet shows. Alongside the 1,500 exhibition booths, the more than 40,000 trade visitors can look forward to an attractive supporting programme with numerous presentations on the hot trends in the industry like digitisation, sustainability or design. feature is the Pavilion of European Associations in Hall 6 that provides an inviting venue for knowledge-sharing and networking. How can design help create a successful brand image? What are the trends in brand communication? What new materials and technologies are available for packaging? Issues like these are addressed in the new Hall 8 and in a special show dedicated entirely to premium packaging, innovative materials, packaging printing and processing. In keeping with its design focus, Hall 8 will welcome its visitors in a stylish and sophisticated black and white look consisting of black clad walls and carpeting with contrasting white exhibition stands. This is where around 70 companies will present their products and solutions. In the centre of the hall there will be a special show created by bayern design. It will display around 30 innovative exhibits, including little cosmetics containers made from Finnish spruce, olive oil in crystalline sugar capsules or a paint backpack with integrated roller. Smart packaging carriers, data security at packaging lines or digital campaigns are just some of the topics on the programme of the new TechBox Forum, which takes place on all three days of the fair in Hall 3. There will be presentations by renowned industry partners who will share their expertise and facilitate discussions on packaging and labelling technology, intra-logistics and packaging logistics. “Similar to the new hall set-up into the two areas ‘Packaging and Processing’ and ‘Technology and Processing’, we are also offering two thematically matching forums,” explains Cornelia Fehlner, Exhibition Director FachPack at NürnbergMesse. In addition, the PackBox Forum will be back again, in Hall 7 this year, with a series of presentations on packaging materials, packaging printing, processing and design. A new feature at this year's FachPack is the Pavilion of Associations in Hall 6. Around ten advocacy groups and associations from various European countries (including Poland, the Czech Republic, Hungary, Latvia, the Netherlands and Austria) will invite visitors to get to know them, chat and network at this open and attractive pavilion. The German Packaging Institute (dvi), Berlin, also has a stand in Hall 6 (6-459), where products that have received the German Packaging Award will be on display. This award acknowledges outstanding and innovative solutions from the entire packaging supply chain in ten different categories. It is regarded as the most prestigious European competition in the packaging segment and is presented by the dvi on the first day of FachPack. Numerous other special shows and forums offer education and in-depth knowledge on the various aspects of packaging. And the best thing about this is that all items on the programme are free of charge with no need to register beforehand. Three years ago, with inject 4.0 ENGEL introduced its answer to the challenges of Industry 4.0. In the meantime, the terms smart machine, smart production and smart service have become established throughout the entire plastics industry, and in many areas, the smart factory has arrived in practice. "It is now time for the next step", announces Dr. Stefan Engleder, CEO of the ENGEL Group, at the ENGEL inject 4.0 Forum at the end of June in Linz, Austria. Marketplaces will connect companies along the value chain and generate new products and services for the injection moulding industry. "The digital transformation is guiding inject 4.0 into a new dimension", says Engleder. At the event, to which ENGEL has invited a select circle of innovation-driven inject 4.0 users, it once again becomes clear that digitalisation is not an end unto itself. The goal of Industry 4.0 is to utilise the full potential of machines, systems and technologies in order to strengthen competitiveness, operate with more flexibility and securely manage increasing complexity. Transparency and the assistance that builds on it are the keys to more efficiency. "We have already made great strides in this direction", says Stefan Engleder. "However, it has always been clear to us that in terms of Industry 4.0, we were setting out on a long voyage. The goal is known, the way there must be continuously developed, stage by stage, in collaboration with our customers and partners. At this time, we are facing the next big step." So far, the path to the smart factory has been focused on the function-related optimisation of individual value creation stages such as production and sales, and on indirect value creation areas such as maintenance management and quality assurance. To this end, machine and process data are collected and analysed, and the shop floor is vertically linked to the operations management level on the basis of digital twins of the machines and systems. As a rule, the classic IIoT (Industrial Internet of Things) platforms for this are proprietary solutions. In practice, however, vertical platform structures are unable to meet the requirements of processing data from various provider systems and correlating these with the data from other companies. The goal of digital transformation is therefore the transition to horizontal platforms that bundle the know-how and offerings of various companies. An open, horizontal networking allows for the cross-functional optimisation of processes along the entire value chain. "The digital transformation is just beginning. We see a great opportunity here. We are inviting our customers and partners to continue actively developing the future of smart production in collaboration with us, and to tailor the new solutions specifically to the requirements of the plastics industry”, says Engleder. "This way, we will all derive the optimum benefit from these newly arising opportunities." The role model are B2C marketplaces like Amazon or Google. Instead of handling physical assets and their related value creation activities, these companies act as intermediaries between supply and demand, connecting marketplace participants with the help of digital technologies. In order to generate new services, the platforms assemble a multitude of data. The capacity to process and analyse data constitutes the foundation on which to serve customer needs better and in a more targeted fashion. This trend is penetrating into the B2B sector, with the term marketplace also becoming established there. In future, market participants with the same, similar or complementary value streams will communicate through marketplaces, offer their products and technologies there, and include their suppliers as well as their customers in this network. The plastics processor using multiple systems from different providers will find all relevant information in a central location and can use the applications offered – so-called apps – with particular efficiency. "Horizontal networking provides the basis for new business models that supplement our current ones and offer added value to our customers", says Engleder. ADAMOS, for example, offers an industry-specific marketplace of this kind. It is a manufacturer-agnostic, open platform that has been developed specifically for the requirements of machine engineering and its customers, and in which ENGEL also participates. The Austrian plastics industry is traditionally strong in innovation and is also among the pioneers in terms of digital transformation. It is no coincidence that a pilot factory for interdisciplinary, platform-based cooperation is being created at the Johannes Kepler University in Linz. Next year, the LIT Factory, in which, in addition to ENGEL, the companies Borealis, Covestro, Erema, FACC, Greiner, Leistriz, Motan, Siemens and others are participating, will commence operations. "The LIT Factory allows us to test the new possibilities under practical conditions, gather experience together with our partners, continue researching the challenges of horizontal networking, and develop new solutions", states Engleder. One already known challenge is uninterrupted connectivity, for not all participants in the value chain are compatible with each other. "A common marketplace will accelerate the development of standards", says Engleder. "In the long term, we expect that various marketplaces will become networked with each other and allow for the exchange of data between participants." From the production of raw materials to the recycling of plastics products that are no longer needed, the platform of the LIT Factory includes the entire value chain. In this way, horizontal networking is helping to move other urgent future topics forward. One example is the closing of value streams. The Circular Economy requires an even closer cooperation of businesses along the value chain, which can be designed especially easily and efficiently on a marketplace. Gordon’s has announced the introduction of two ultra low-alcohol gin and tonic flavoured sparkling variants. Featuring less than 0.5% ABV and 68 calories per serve, the pre-mixed drinks provide a premium low ABV alternative for consumers during those social occasions when they choose not to drink or want to moderate their intake of alcohol. The product has been developed by our innovation team as well as our R&D team at Woodside in Hertfordshire, who have carefully created a liquid that contains all the botanicals found in Gordon’s London Dry Gin as well as a small amount of Gordon’s London Dry Gin distillate – which is extracted from the still to infuse further flavour into product and keep it credible to the Gordon’s name. The launch comes at a time when gin is booming. Recent figures from the Wine and Spirit Trade Association (WSTA) show that gin sales in the UK reached £1.5 billion (US$2bn) in the 12 months to March 2018, the equivalent of almost 55 million bottles. Commenting on the launch of Gordon’s Ultra Low Alcohol, Charles Ireland, General Manager for Great Britain, Ireland and France, said: “Gin is booming at present and there is currently a real unmet demand from consumers for a credible low or non-alcoholic gin alternative that has the same depth of flavour and sense of occasion as an alcoholic drink. I’m therefore delighted to see the launch of Gordon’s Ultra Low Alcohol G&T - a fantastic addition to the market that aims to meet this consumer demand. The new product is being launched across GB and across Europe. Perfectly blended with natural fruit extracts to produce two flavour variants; Gordon’s Ultra Low Alcohol G&T with a Hint of Lime and Gordon’s Ultra Low Alcohol G&T with a Hint of Grapefruit. Tim Henman OBE may not have had his name engraved on a trophy at Wimbledon, but he is the first to see his name inscribed on the new Robinsons reusable drink bottle, available at this years’ Championships. In a light-hearted video released today by Robinsons, the Official Soft Drink of The Championships, Tim pokes fun at his unlucky track record at Wimbledon, whilst landing a more serious environmental message. To help reduce the amount of waste at The Championships, which receives nearly 500,000 attendees and serves close to a million drinks each year1, Robinsons has introduced new personalised, reusable drink bottles. Visitors to The All England Lawn Tennis Club will be able to purchase the personalised bottle for £7, or just £5 if they return an empty bottle of Refresh’d for recycling to Robinsons’ Play Tennis Café. * To help them stay hydrated court-side, Robinsons are encouraging visitors to fill their reusable bottles up for free with their brand-new Fruit Creations range. Kevin McNair, GB Marketing Director, Britvic said: “Providing consumers with a reusable drink bottle at Wimbledon is part of our ongoing commitment to tackling plastic pollution. We are proud of the fact that all Robinsons PET plastic bottles are fully recyclable in the UK, with 99% of local authorities collecting PET at the kerbside. Plus Robinsons, due to the fact it’s a concentrated drink, uses less plastic per serving compared to many other soft drinks. Robinsons and Wimbledon have a rich heritage together, dating back to 1935 when Lemon Barley Water was first created at The Championships to refresh tennis players. Fast forward to 2018, and Robinsons is still found front and centre at the prestigious Grand Slam tournament. Anheuser Busch InBev’s German unit said it was resuming talks to sell its small German beer brands Hasseroeder and Diebels as a planned sale to financial investor CK Corporate Finance has stalled, Reuters reported on July 2. “CK Corporate Finance Group has so far not been able to meet all the contractual conditions to complete the transaction by mid-2018,” AB InBev Deutschland said in a statement on July 2. The company said it was holding talks with selected interested parties in parallel to the sale to CK Corporate Finance Group. “It is important to us now to make clear to all involved parties that we are actively working on alternatives and looking at offers, especially with an eye to our staff, brands and sites,” it said. AB InBev said its goal was still a sale of the two beer brands and the associated breweries. ENGEL AUSTRIA is one of the lighthouses of Upper Austria's business landscape - according to the jury of the Pegasus Business Award. ENGEL was awarded Gold in the Lighthouses category during the gala night in the Brucknerhaus in Linz, Austria. The Pegasus is the most prestigious business award in the country and is awarded annually by the Oberösterreichische Nachrichten. "We are very pleased about the award," says Christoph Steger, Chief Sales Officer at ENGEL, who accepted the Gold Pegasus. "This prize clearly belongs to our employees, whose daily great commitment and passion ensure that ENGEL is so successful worldwide." With production plants and branches on three continents, ENGEL is one of the world's leading manufacturers of injection moulding machines and automation solutions for plastics processing. All over the world, plastic products are being manufactured with machines and robots from the Austrian company, from toothbrushes, smartphone housings and automotive components to highly sensitive medical products. The mechanical engineering company has been on a continuous growth course for years. ENGEL currently employs more than 6,600 people worldwide, more than half of which are based in Austria. To meet the growing demand for injection moulding machines, ENGEL hires additional employees and invests heavily in its locations. The family business is clearly committed to its roots. The largest construction projects are located in Austria. At the headquarters in Schwertberg, for example, a further production hall and a new customer technology centre are currently being built. ENGEL will invest a total of more than 375 million euros in its production facilities alone by 2020. Capacities will be increased and the machinery modernised. "As a family business, it is particularly important to us that our employees feel at ease in the workplace. This includes a modern working environment, but above all achieving a work/life balance," explains Steger. "Together with our employees, we have implemented numerous measures in recent years that go far beyond the legal requirements." Thanks to crisis prevention, it is possible to build up a time buffer subsidised by the company which can be reduced in economically weak times. The childcare centre at the headquarters in Schwertberg was so well received that ENGEL, in cooperation with local institutions, now also supports its employees in childcare at the St. Valentin and Dietach locations. As a globally active company, ENGEL emphasises an international outlook already during its training. The apprentices soon work in international teams and the two best graduates of a year are allowed to spend three months in the production plant in Shanghai. In Austria alone, ENGEL trains around 200 young people in eight technical professions, and the company itself provides for the next generation of skilled workers beyond its national borders. In the plants in China, the Czech Republic and Germany, apprentices are trained according to the Austrian model of dual vocational training. The role model is the state-awarded training workshop at the headquarters, one of the most advanced in the country. For the 25th time, OÖNachrichten and its partners have awarded the Pegasus. Ten companies were nominated in each of four categories - Future Hopes, Innovation Emperors, Success Stories and Lighthouses. These were evaluated by a jury consisting of representatives of Raiffeisenlandesbank, the Province of Upper Austria, KPMG, the Upper Austrian Chamber of Commerce and the Federation of Austrian Industry. ENGEL took first place in the lighthouses category. This category is awarded to companies that are successful in Europe and internationally and set an example for domestic companies. Danish brewing company Carlsberg and US-based Brooklyn Brewery have opened a new brewery in Lithuania, the Drinks Insight Network reported on July 2. Called the Svyturys Brewery, the new facility is located in the Klaipeda port area. It was opened after three years of reconstruction work, which was carried out using a joint investment between the two companies. Svyturys Brewery features a new craft beer line, a beer museum, a gastropub and a shop, as well as conference and degustation halls. Svyturys-Utenos Alus’ managing director Rolandas Virsilas said: “Today the Svyturys Brewery embarks on a new journey, changing a closed and outdated brewing space into a modern, open and social place where it is all about brewing the perfect craft beer. “Our ambition is to nurture and support the rich beer culture in Lithuania and to make Svyturys Brewery the centre of this culture not only within Lithuania but also in the entire Baltic region. The opening of the new brewery in Lithuania is expected to further strengthen the partnership between Carlsberg and Brooklyn. The project is said to be the companies’ fourth major joint undertaking in Europe. Prior to this, they opened similar craft breweries in Stockholm (Sweden), London (UK) and Trondheim (Norway). The renovated brewery will be used to create craft and speciality beers for the Svyturys and Raudonos Plytos brands. Midway through 2018, off-premise volume sales of craft beer across a variety of large-scale retail stores in the US are up just 1.7 percent, according to market research firm IRI Worldwide, Brewbound reports. While craft beer dollar sales at grocery, club, drug, dollar, mass merchandiser and convenience stores were just shy of $2 billion through June 17, up 2.9 percent year-to-date, the most recent trends point to a slowdown as brewing companies head into an important summer season. Volume sales of craft beer at multi-outlet and convenience stores were up just 0.2 percent during the latest four-week scan, while dollar sales increased 1.4 percent. Sales for some of the country’s largest craft beer suppliers – Sierra Nevada Brewing Company, New Belgium Brewing, Craft Brew Alliance and Deschutes Brewery – are in the red. Off-premise volume sales of California-headquartered Sierra Nevada Brewing, which is ranked by industry trade group the Brewers Association as the third largest craft beer company in the U.S., were down 2.2 percent during the four-week period ending June 17. The company’s year-to-date trends, however, are about flat. Year-to-date volume sales of New Belgium, CBA and Deschutes products, meanwhile, were down 10.4 percent, 8 percent, and 10.4 percent, respectively, thru the halfway point of the year. New Belgium’s flagship offering, Fat Tire amber ale, is struggling – volume sales are down nearly 20 percent on the year. And CBA’s trends would be worse, if it weren’t for the growth of Kona Brewing’s Big Wave golden ale, volume sales of which were up more than 24 percent through June 17. But it’s not all bad news for the nation’s largest craft beer makers. Boston Beer Company — which produces the Samuel Adams, Angry Orchard, Twisted Tea and Truly Spiked hard seltzer lines – has grown 16 percent on the year due to the breakout success of Angry Orchard Rosé cider as well as the growth of its Truly spiked seltzer and Twisted Tea products. Introduced earlier this year, Angry Orchard Rosé cider has generated more than $17 million in off-premise sales year-to-date, according to IRI. It is already larger than Heineken Light, Anheuser-Busch’s Michelob Ultra Pure Gold (another 2018 product launch) and Lone Star, among other brands. Other large-scale craft breweries that have continued to grow in 2018, despite increased competition from more than 6,500 smaller players, include Founders Brewing (up 51.4 percent), Bell’s Brewery (up 4 percent), Stone Brewing (up 10 percent), Sweetwater Brewing (up 4.2 percent), Firestone Walker (up 14.9 percent), Oskar Blues Brewing (up 20.4 percent) and Dogfish Head (up 13.6 percent). Among the major suppliers, year-to-date volume sales for Anheuser-Busch InBev and MillerCoors were down 2.1 and 2.6 percent through June 17, respectively, while Constellation Brands grew 12 percent. Meanwhile, off-premise volumes sales for Heineken USA, which recently appointed Maggie Timoney as its new CEO, were down 4.4 percent. Off-premise sales of imported beer, the second largest segment behind domestic premium beer, were also up 5.3 percent through June 17, according to IRI. Domestic premium beer sales, meanwhile, were down 4.3 percent during the same period. Sales of flavored malt beverages and cider were up 6.6 percent and 8.7 percent, respectively. Category-wide volume sales of beer were down 0.3 percent during the period. Australia’s Lion is building on its hugely successful launch of Iron Jack, with the launch of a full strength version of the beer, The Shout reported on June 20. The launch of the mid strength Iron Jack in 2017, was lauded as the most successful beer launch in a decade, after selling over 16 million litres in its first eight months. Lion’s Contemporary Portfolio Manager, Amy Darvill said: “Iron Jack is a brand inspired by Australia’s legendary outdoorsmen and the traditional values they portray like loyalty, strength and generosity. Iron Jack Full Strength Lager will be 4.2 per cent ABV and features pale malts with a “light dose” of Saaz hops. The beer is preservative free and has 30 per cent fewer carbs than regular full strength beers. The launch of Iron Jack Full Strength will be supported by a new brand campaign and TVC set to launch later in 2018 and it will be available from July 16 in 330ml bottles, 375ml cans and on tap at selected outlets nationally. Major Japanese beer companies are split over how to deal with own-brand products manufactured for such retailers as supermarkets and convenience stores, the Inquirer reported on July 2. Own-brand products are products planned by retailers such as supermarkets and convenience stores and sold under their own brand labels. They outsource production to manufacturers. As they can cut such costs as distribution and advertisement expenses, they can sell their own-brand products for less than those of the big brands. Kirin Brewery Co. has gone on the offensive by accepting a series of requests for manufacturing such own-brand products — known as “private brands” in Japan — but other beer firms, such as Asahi Breweries Ltd. have adopted a wait-and-see stance. As the domestic market for beer and beer-like alcoholic beverages is shrinking, it has become more important for beer firms to cooperate with retailers. However, how to deal with own-brand beers has become a thorny issue for them, as such products are likely to compete with the manufacturers’ branded products. In June, major supermarket chain operator Aeon Co. updated three beverages of its own-brand line-up of so-called third-segment quasi-beers, Topvalu Barreal. The price for a 350-milliliter can remained the same at ¥84, but Aeon switched manufacturers for its quasi-beer to Kirin from a South Korean maker. “I’ve been buying own-brand beers over the past year. If Kirin is producing it, I believe the taste will be good,” said a 42-year-old homemaker from Shinagawa Ward, Tokyo, who picked up a can of Topvalu. The newly revised Liquor Tax Law, which came into force in June 2017, is one of the reasons why the own-brand labels have become popular. Shelf prices of alcoholic beverages rose as the revised law reinforced regulations on discounting alcoholic beverages, driving price-sensitive consumers to switch to own-brand products. According to Aeon, sales of Barreal increased about 20 percent over the past year. Kirin also took on commissioned production of FamilyMart Co. and Lawson Inc.’s own-brand quasi-beers. Currently, the market share of own-brand products is still small. However, as own-brand items can expect stable shipments with fewer costs, such as advertising expenses, such products are expected to improve utilization rates of factories. Own-brand beers only carry the logos of the retailers. Sapporo Breweries Ltd. also manufactures products for Aeon, but there are no other signs of a shift toward more manufacturing of own-brand products by the majors. “What is important is to produce products with added value — cheapness is not the only factor,” Asahi Breweries said. “We would like to enrich our brand under the policy of being involved in the entire process, from manufacturing to sales,” said Suntory Beer Ltd., which has also adopted a wait-and-see stance. Major firms have been cautious over own-brand products, because of their loyalty to their own product ranges. There is also a deep-rooted concern that low-price own-brand products could have an adverse effect on the major beverage brands. Despite such concerns, Kirin started accepting the production of own-brand products. “It could bring favorable effects on the sales of our own products,” a senior official of the company said. The market for beer and beer-like alcoholic beverages continues to shrink, with total shipments posting the 13th consecutive year-on-year decrease in 2017. By strengthening relations with strong-performing retailers, Kirin hopes their outlets will place Kirin products in prominent parts of the store. Observers say that in order to curb the trend of consumers moving away from beer, it is important to attract consumers to the product, irrespective of the brand. “How beer companies deal with own-brand products may act as a litmus test for the future power structure in the industry,” an analyst said.